SCRUFF (Spaying Capital Region Unowned Feral Felines), is a Trap-Neuter-vaccinate-Return (TNvR) organization for feral and stray cats. Run by dedicated volunteers, SCRUFF provides low-cost spay/neuter services for this unowned population of cats. 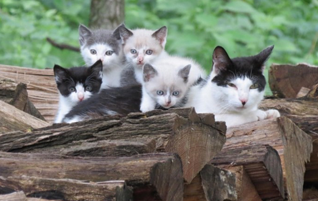 Founded by Dr. Susan Sikule of Just Cats Veterinary Clinic, SCRUFF's mission is to work with the public to humanely reduce the population of feral and stray cats and to educate the public on ways to care for these “community” cats. 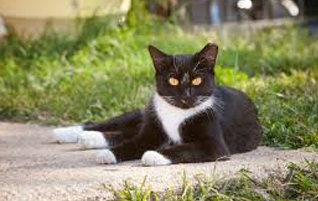 Feral cats have lived outdoors among people for 10,000 years; they have lived here in the U.S. for hundreds of years. 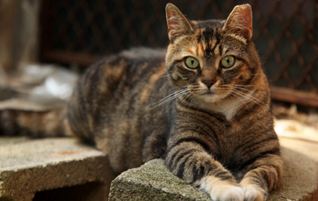 Discover just a few facts you should know about feral cats. Get involved!! Your volunteer support helps SCRUFF make a greater difference for community cats. SCRUFF strives to sponsor events to generate interest and financial support for the work we do. Modeling itself after the nationally acclaimed Alley Cat Allies, SCRUFF volunteers educate individuals and promote TNvR; since January 2007, we have spayed/neutered over 7,000 stray and feral cats! Through our programs and our valuable partnerships, SCRUFF's vision is a lifelong commitment to reducing community cats throughout the Capital District Region, one cat at a time. Join us for the SCRUFF-Operation SNIP joint fundraiser on Thursday, December 8, 2016. Event takes place at Glennpeter Jewelers, 1544 Central Avenue, Albany, NY 12205 from 5:30-7:30pm. Come support the welfare of community cats and local TNvR organizations. Admission is free and the atmosphere is fun! Cash bar, refreshments, raffles, and prizes! For more information or to make a donation, please contact SCRUFF at (518) 526-3372.